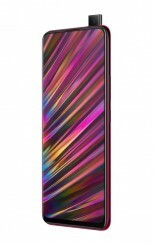 The vivo V15 that was unveiled earlier this week will be released in India on March 15. 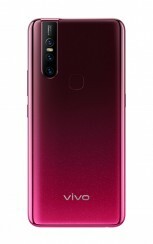 It is rumored to carry a price tag of INR 22,990 (around $330) and will likely be sold through Flipkart, Amazon.in, and retail stores across the country. The V15 is a toned down version of the V15 Pro which debuted last month. 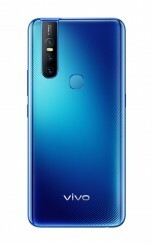 It retains the Pro variant's 32 MP pop-up selfie camera but lacks the Snapdragon 675 chip, 48 MP rear camera, and in-display fingerprint scanner. 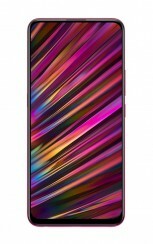 The V15 is powered by Helio P70 SoC and flaunts a 6.53-inch Full-HD+ display. It rocks a triple camera setup at the back which includes 12 MP, 8 MP, and 5 MP units. The smartphone packs a 4,000 mAh battery which is bigger than the battery on the V15 Pro. True, their faces annoy me. there s no more gender human fellow, i m a pansexual trans person, this is the future, we are not in the stone age anymore !! !